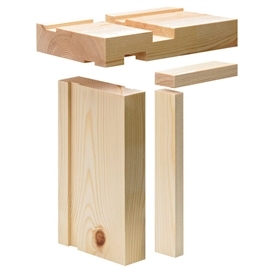 Our Door Casing Sets Internal Softwood or Internal MDF. 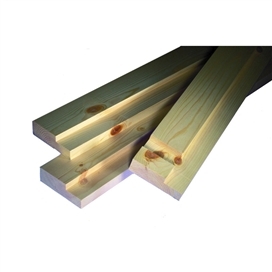 Many sizes which include 30 x 88mm. 30 x 100mm. 30 x 143mm. 30 x 150mm. Internal Fire Check. 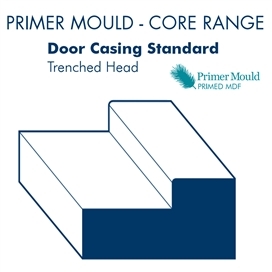 Our range of untreated timber door casing sets will give a great surrounding to any internal door. It's ready to paint, stain or varnish. 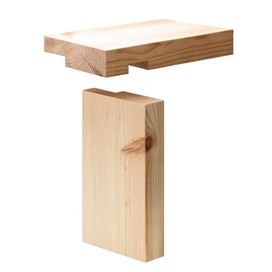 This Internal Softwood Door Casing is available in a number of sizes to suit a range of standard size doors. IMAGES. Please note, the accuracy of digital images may vary from supplier and also according to your screen type and method of printing. Please note they are for illustration purposes only. 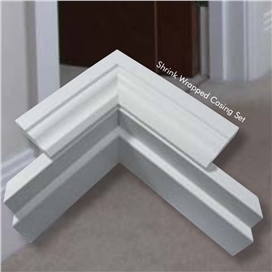 Always refer to an actual sample of the product for guide to colour and texture.